Singapore is bracing itself for an ageing population. By 2030, about one in five residents would be 65 years of age or older. A point worth noting from Chart 1 is how steeply the red line is climbing. It raises questions about whether policies, programmes and infrastructure are keeping pace with the red line. Are stereotypes and biases about this group increasing as well? Another point to note is that life expectancy is increasing. The rise from 78.8 years in 1980 to 85.3 years today is substantial. However, old age support ratio is falling dramatically. By 2030, there will only be two citizens in the working age band of between 20 and 64 years for every citizen aged 65 and above. This stands in stark contrast with the situation in 1970 when there were about 13.5 in the working age band. Arresting the slide in total fertility rate (TFR), according to Monetary Authority of Singapore (MAS) Managing Director Ravi Menon, is the best and most lasting solution to the ageing problem but its positive effects on the labour force will only occur in the very long run. The outlook is not rosy as fertility hit a seven-year low of 1.16 in 2017. Measures are also being undertaken to increase resident labour force participation rate but its effects on resident labour force growth will be quite limited. Immigration is a solution but it is also a thorny issue, given the rise in the number of social problems pertaining to it. One of the lessons that can be derived from the above figures is that the way we see our elderly must change – they are an asset, not a drain. At the policy level, there are already a slew of measures being implemented to keep seniors healthy, promote active ageing, provide senior-friendly housing and communities, making healthcare affordable, integrating care across health and social sectors and addressing workplace discrimination. This will put them in good stead to be net contributors socially and economically. Less intervention, however, seems to be happening at the micro level where an older person’s experiences with ageism could undermine positive outlook, self-esteem and social inclusion. This has longer-term implications if allowed to take root in society, militating against efforts to promote active ageing, paying lip service to appreciating the experiences and wisdom of seniors, and condoning age discrimination. According to the World Health Organisation (WHO), ageism is everywhere, yet it is the most socially “normalised” of any prejudice, and is not widely countered – like racism or sexism. These attitudes lead to the marginalisation of older people within communities and have negative impacts on their health and well-being . Just as WHO is waging a global campaign to combat ageism, considering the demographic future of Singapore, organisations and individuals in Singapore too can begin combating ageism. Perhaps a good way to start is to compile personal stories of seniors experiencing ageism to gain a better understanding of why it happens, where it happens most, who are the ones prone to harbouring ageist views and what outcomes they have led to. The following are anecdotes of how ageism transpired in the lives of some ordinary older Singaporeans. It would have been easy to dismiss his story as just another complaint, as many whose job applications have yet to come to fruition are wont to do. However, employers’ reluctance to recruit an older worker is a well-documented problem, which prompted the Tripartite Alliance for Fair and Progressive Employment Practices (TAFEP) to initiate campaigns for change in mindset on older workers. Older workers also face instances of indirect discrimination. For example, a “young working environment” meant that older workers are not a good fit even if they have the relevant experience or are willing to learn. A recruiter may feel insecure if a senior job applicant is a former PMET (Professionals, Managers, Executives and Technicians) who has a wealth of experience and who is a former high income earner, as he may find it a challenge to exercise his authority over the job applicant if the latter is recruited. During a performance appraisal, an older worker was told by his supervisor that there are areas the former can improve on but, given his age, he may be “hardwired” or set in his ways. The latter believes it is easier to “mould” a younger worker but not someone in his fifties. This is a view commonly espoused by management and human resource personnel but the scientific validity of such assessment remains doubtful. As WHO highlighted in one of its bulletins, such views are socially accepted and usually unchallenged because of its largely implicit and subconscious nature. Professor Sattar Bawany, a human resource consultant to organisations, and a career and executive coach to PMETs impacted by restructuring, wrote in a letter to The Straits Times (February 26, 2018) that he found that there is clearly a prevalence of age discrimination in the workplace. This, he said, is evident in the form of human resource policies and processes, such as recruitment and compensation that reveal a bias against older employees – a situation which is potentially limiting business performance and preventing older employees from contributing fully. He thinks ageism may be responsible for the rise in the number of redundancies and the difficulties faced by older Singaporeans trying to re-enter the workforce. In another instance, a manager shared how her elderly aunt found the learning curve too steep when her company made the switch to digitalisation. The latter’s management began generalising that older workers have trouble embracing new technology, which may have a bearing on deployment and recruitment of older workers. Such views resonate because of the widespread perception that seniors are averse to learning how to use state-of-the-art products. It may be true that some seniors are overwhelmed by the myriad of features and applications that today’s digital equipment come with. However, this may stem from a number of reasons. For instance, unlike the young who have the benefit of being exposed to digital gadgets early, the tech phenomenon happened much later in the lives of the elderly and it would understandably take a while for them to find a community of fellow users, which would give them a reason to actively use the digital applications. Hence, they are behind but certainly not out where embracing a new technology is concerned. The Info-communications Media Development Authority of Singapore’s (IMDA) data show that the already high proportion of internet users among those aged between 50 and 59 climbed a further 10 percentage points, from 75% in 2015 to 85% in 2017. The proportion of internet users among those older – aged 60 and above – is substantially lower but it sloped upwards by 11% during the same time period, from 31% to 42%. Moreover, IMDA reported that there was a significant growth in senior citizens using portable infocomm equipment such as smartphones and tablets to connect to the Internet wirelessly in 2017, when compared to 2015. residents aged between 50 and 59 who had used portable infocomm equipment in the past three months rose by 12 percentage points from 67% in 2015 to 79% in 2017. The figures for those 60 years and above are more staggering: from 31% in 2015 to 73% in 2017, more than two-fold increase. The deterioration of mental faculties and physical attributes is often cited as a reason why the elderly are slow learners and/or have difficulty adapting to technology such as using digital equipment. This may be true of certain groups among the elderly but to generalise this notion by virtue of a person’s age borders on ageism. Some of this prejudice arises from observable biological declines and may be distorted by awareness of disorders such as dementia, which may be mistakenly thought to reflect normal ageing. The widespread prevalence of such views could lead to internalisation of the stereotype among seniors: that they are incapable of capitalising on technological innovations. Considering that ageing demographics is now at our doorstep, it is time for ageism to be elevated to the same level as racism and sexism. Intense discussion on racism has led to a more nuanced understanding of the issue, such as what casual racism and microaggressions mean. Likewise, sexism, which for a long time was condoned in a largely patriarchal society where women find it difficult to raise instances of it without fearing the repercussions, is seeing some signs of progress albeit having some way to go. 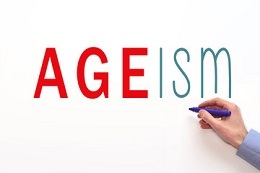 According to WHO, research suggests that ageism may now be even more pervasive than sexism and racism. This has serious consequences both for older people and society at large. For example, ageism limits the questions that are asked and the way problems are conceptualised is hence a major barrier to developing good policies. WHO added that ageism is the common source of, the justification for, and the driving force behind age discrimination. Socially-ingrained ageism can become self-fulfilling by promoting in older people stereotypes of social isolation, physical and cognitive decline, lack of physical activity and economic burden. It is imperative that we re-examine our own beliefs about older persons and whether there is a legitimate basis for the views that we harbour about them. Outdated concepts of older people need to be countered and the wide diversity among them acknowledged.